This week sees Edinburgh College of Art celebrating the work of its graduating artists, filmmakers, designers and architects. Open to the public from 11am-5pm daily, this is your chance to marvel at the diverse creativity on show. Kim at Central Station gives her account of last Thursday’s preview night. Edinburgh College of Art is buzzing. It’s the press, family and friends opening of the 2015 Degree Show. I’ve got two hours, plenty of time to see it all I ambitiously think to myself as I set off in the direction of the sculpture works. I soon come face to face with a man walking around Jerry Maguire style in his undies. “Did you lose a bet?” I ask nodding towards his lower half. “No,” he replies deadpan, “I’m re-enacting a performance piece from second year.” He hands me a card with Nappy Man National printed on the front and walks away. It was Alan Trashmouth Records formerly known as Alan Kerr (he sold his name to a record company for £200). 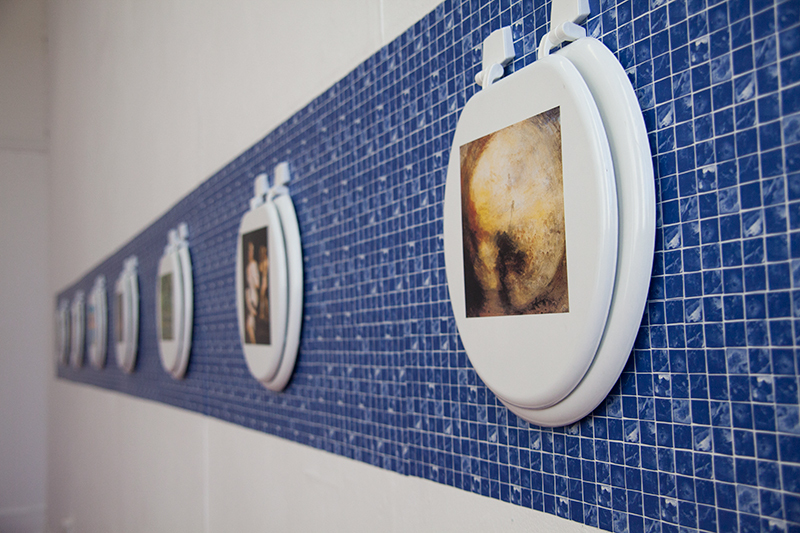 The RSA Contemporaries 2016 Selected Artist printed famous artworks onto toilet seats as part of his degree show installation. Does this draw attention to the commercialisation of art or is it more toilet humour gone awry? If you can buy an iPhone cover with Van Gogh’s famous Sunflowers on it from the National Gallery, why not a Turner toilet seat? The next work to catch my eye is Alice Chandler’s wonderfully composed installation. Reminiscent of Karla Black’s works, Chandler has used steel, plastic, fleece and paper in a playgroud-esque situation. She has a strong understanding of materiality, colour and composition and is also an RSA Contemporaries 2016 Selected Artist. Sky Su’s interactive video piece projected a CCTV-like image onto the wall of those in the room. The data was coded and a programmed delay caused a duplicate of yourself replicating your past motions. 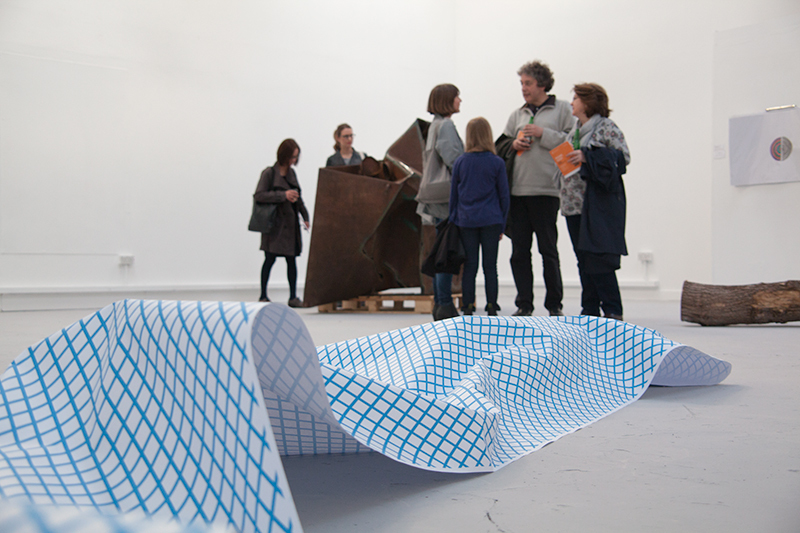 It is an enjoyable work and a rare moment of fun for art-goers amongst the passive experiential works. 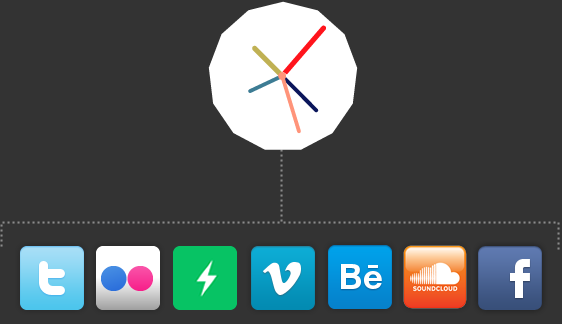 I begin to think of data and image in the digital age; ownership of an image and the reflected-self. Just as it was all becoming a bit too overwhelming for a Thursday evening, the image on screen began to scramble into oblivion. That was my cue to move on. So much more still to see. I move onto the painters and stop at Karen Fleming’s work, remembering we’d featured it recently on Central Station. It is much more impressive in the flesh and I stand in front of it for some time. Another painter to check out is Sarinda Devine. 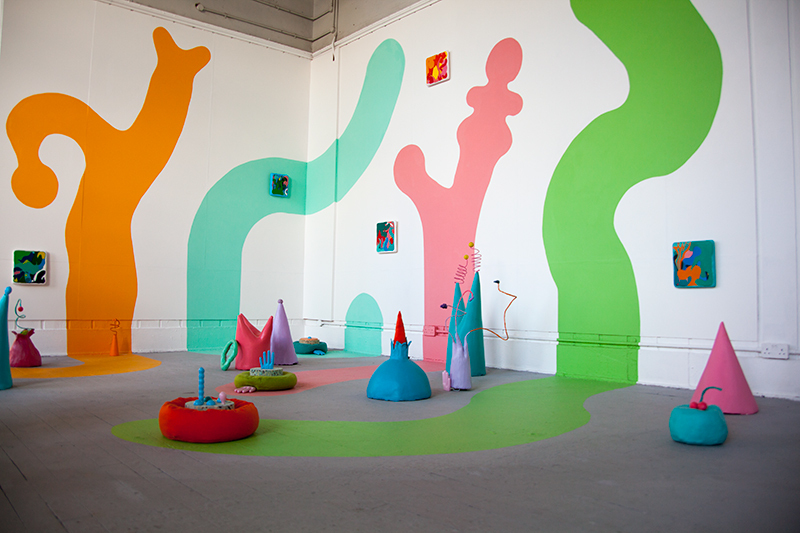 She has created a small ‘world’ upstairs within a colourful and fun installation. It reminds me of the jungle in the Zebraface Random Acts by Kid Acne. 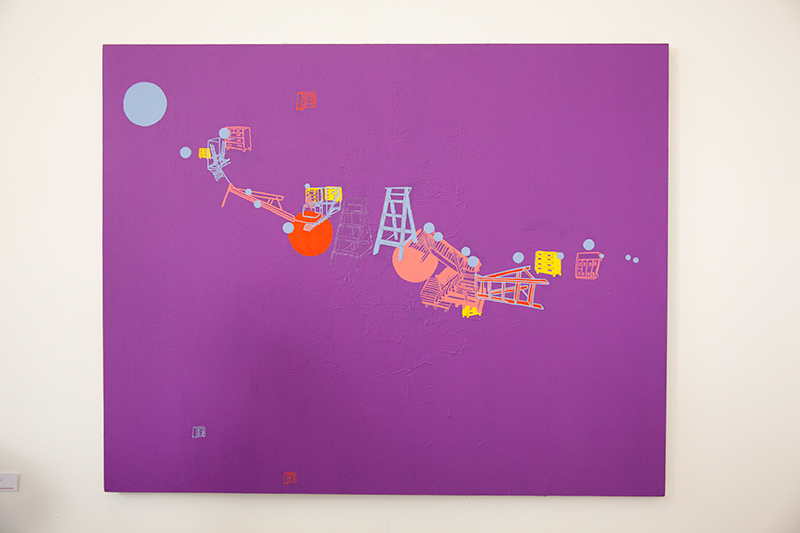 Using a completely different style and technique, RSA Contemporaries 2016 Selected Artist Daryl Shaw McKee explores line and colour using a scientific process of experimentation. 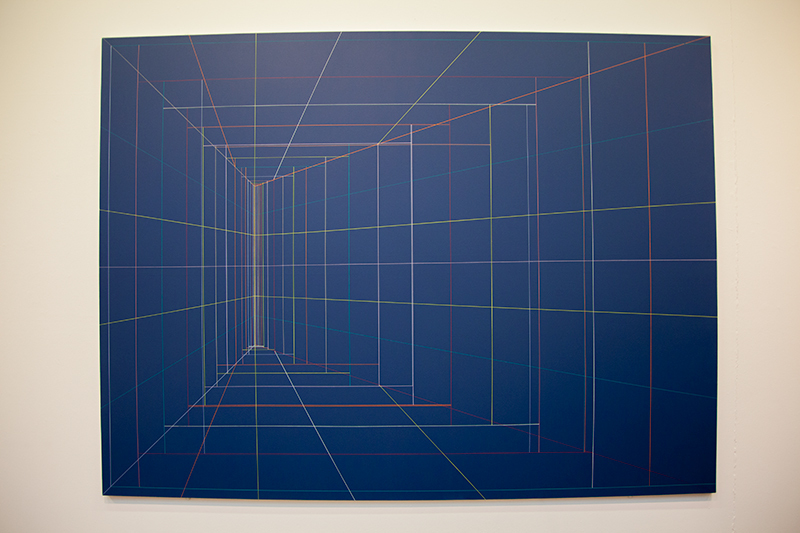 She translates 3D spaces into 2D paintings resulting in Tron-like cyber grids. Finally, photographer Mark Osborne’s work has been selected for the ECA Art Collections Purchase Prize whereby the University seeks to acquire works that represent the artistic output of the art school. I would acquire it myself if I had the chance. I saw his potential a few years ago when he was featured on Central Station and it’s great to see how much his work has developed since then. 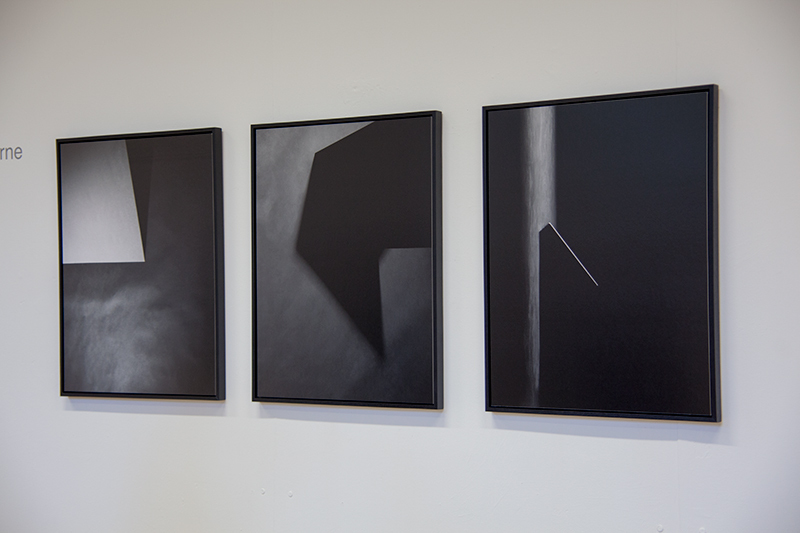 His abstract photo series analyses light, space and form; presenting the photograph as a considered object for gallery display. The photography graduates also benefit from moving into a more senior role in the established ECA collective, SOFTBOX. This is an ever-expanding network maintained by ECA undergraduates established to encourage collaborative practice, share opportunities and assist with events. The bell rings and I realise I am suddenly out of time. I regret not getting the chance to see the work from the school of design. However I did grab a publication of their work on my way out and it looks exceptional. 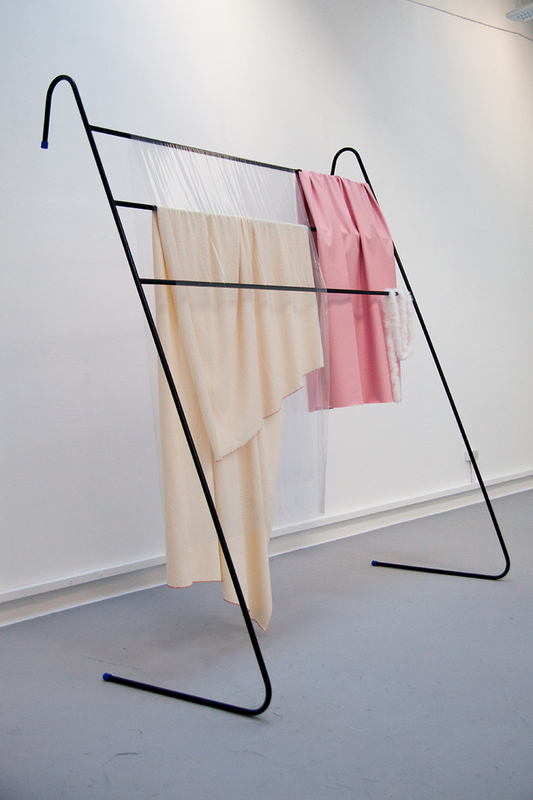 The Edinburgh College of Art Degree Show 2015 continues 11am-5pm daily until Sunday 7 June and includes two late openings on Wednesday 3 & Thursday 4 June from 11am-8pm. For more information, please visit here. 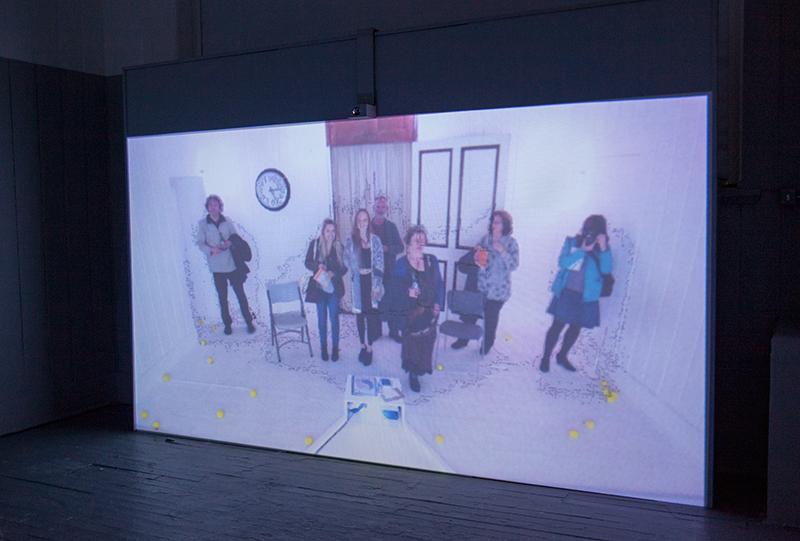 Please visit here for more Degree Show reviews on Central Station.